A Grantham man is facing multiple charges after he crashed a stolen truck in Lebanon on Saturday. Police say just before 12:30 am, Gabriel Blanche 20 sped off after they tried to stop him for a traffic violation. 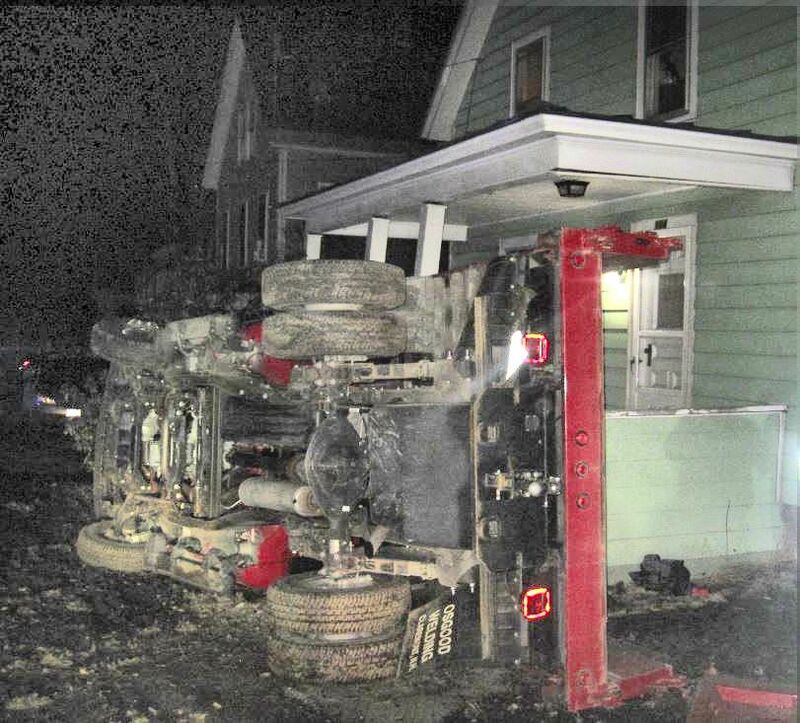 Officers followed the Chevy truck as it went around a corner, lost control and rolled onto its side striking the front of 104 School Street home. The vehicle caused significant damage to the front of the residence, no one inside was injured. Officers discovered the 2013 Chevrolet dump truck was stolen from a Grantham residence.
. Blanche was transported to Dartmouth Hitchcock Medical Center and treated for minor injuries before being released into police custody. Blanche was charged with two counts of receiving stolen property criminal mischief, reckless conduct, subsequent driving while intoxicated, Disobeying an officer and driving after suspension. Blanche’s bail was set at $100,000.00 cash and he was transported to the Grafton County House of Corrections. A Danbury NH man will be in court today to answer charges stemming from a standoff in Danbury on Friday evening. Police say they answered a call for a firearm being discharged outside an Rte104 residence threatening people in the home. The Danbury Police Department contacted other agencies and set up a command center at the elementary school, and closed Rte 104. Police Chief David Suckling contacted the individual by phone and after negotiations approached the residence with members of NHSP Swat Team. Actions of the subject caused the team to return to the base, but two hours later, the subject turned himself in to the DPD without incident. The individual will be arraigned in Franklin Court today. Rte 104 was re opened just after 8:00 pm. A Lebanon NH man was charged with criminal trespass for entering the Hanover Street School. Police say on March 11, someone entered the school during the overnight hours. After an investigation, police arrested 27 year-old Anthony Boisvet. Boisvert admitted to entering the closed school without permission during an interview. Boisvert will be arraigned in Lebanon District Court on May 16, 2016. The Community Builder’s Award recognizes a non-Mason who has done exceptional work in their respective community.